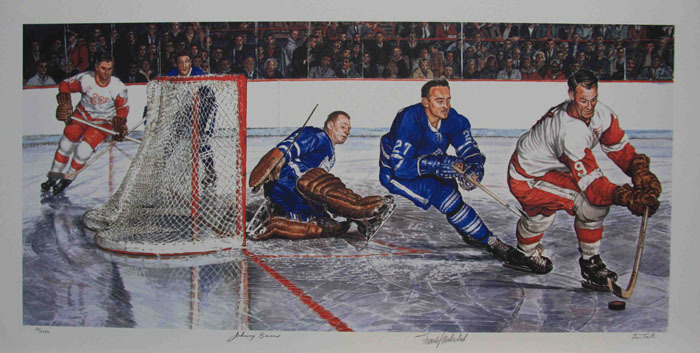 and Johnny Bower . Also pictured is the Great Gordie Howe.
" 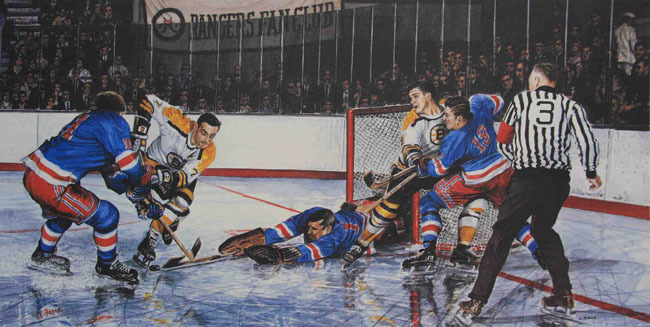 IN THE SLOT "
Storey the referee and Boston Bruin great Phil Esposito.